Installing your own kitchen cabinets can be a very challenging DIY project. When done incorrectly, this can cause major delays in the completion of your project. Not only can these critical mistakes in your installation process cost you time, they can cost you money! Inaccurate measurements are one of the main reasons why cabinet installs in Las Vegas are delayed. Accurate measurements of the height of the ceiling and wall-to-wall measurements are a critical step in the process. Measurements must account for windows, doorways, and anything else that may account for breaks in the way that the cabinetry will be aligned. When measurements are inaccurate, the cabinets that arrive at your doorstep will not fit in the space that they’ve been allotted for. This means that cabinet installs cannot happen in Las Vegas home until the cabinets have been remade to accommodate the accurate measurements. It is important to consider your own height and the height of your ceilings when placing your order to ensure that your upper cabinets are the appropriate size and height. Another major area that causes trouble is when the wrong number of correct knobs, handles, and pulls are ordered. The correct number of hinges and any other hardware that is necessary for installation is a very important part of the process! Appropriately-sized fasteners for cabinet installs are also very important for Las Vegas safety inspections. Attempting to do cabinet installs alone is not a good idea in Las Vegas. Even the strongest, most muscular individual will have a hard time with this job. Cabinets are awkward, bulky, and heavy. At least two people are needed to do even the simplest of cabinet installs in Las Vegas. Unleveled or offset installations in Las Vegas can also create difficulties for professional cabinet installs. For DIYers with little experience, it might be worth it to hire a contractor for this portion of your remodeling project. Cabinets have to be properly aligned to coordinating windows and doorways. This is the most obvious miscalculation when anyone in Las Vegas attempts DIY cabinet installs, since there are so many inconsistencies in terrain and elevation. 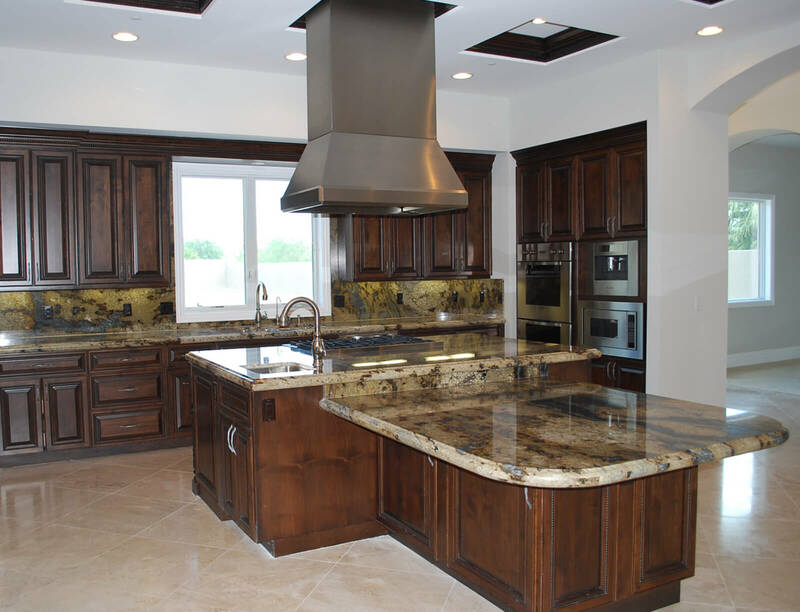 While most remodeling projects in Las Vegas can be done DIY, for the finest cabinet installs, it’s best to contract with the professional las vegas cabinet installers in the business. Avoid the headache and cost with Majestic Cabinet installs today!